An effective logo and brand design for a startup business is vital to it’s success. This doesn’t mean that it needs to have cost the earth! But a well crafted, concept driven logo that reflects the business’s core values, key messages, it’s target market and it’s services means that the logo and it’s supporting branding will fit and grow with the fledgling business. There are lots of “off the shelf” or cheap online logo solutions on the market, but many of them are template based, which means the same logo can appear on many a businesses business cards with a simple name change, why would you go down the long, painful and sometimes expensive route of coming up with a unique and innovative business idea, only to pick a logo that anyone could have? – It doesn’t make sense. 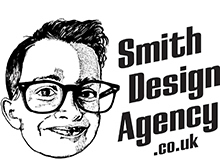 Smith Design Agency can create a logo and brand identity that will be the right fit and unique to that particular startup company, and not template based, which is never personal. We have years of experience in working with startup businesses, many of these startups are still our clients today, the initial logos that we have created have grown, evolved and developed with their growth. The one thing that is consistent is that each logo and brand styling is bespoke to each client, crafted with creativity, thought and correctly positioned. We like to collaborate together with our clients to create a logo that is right for their business and one that they will love.